To assess tolerance begin with half a serving 20-30 minutes prior to exercise on a relatively empty somach. Once your tolerance has been assessed, take one serving prior to exercise. Not intended for use by persons under the age of 18. Do not use if you are pregnant or nursing. Consult a physician before using this product if you are unaware of your health status or have a history of high blood presssure, heart disease or if you are using a monoamine oxidase inhibitor (MAOI) or any other dietary supplement. Do not use if you are currently using a prescription drug, or over-the-counter drug containing but not limited to ibuprofen, ephedrine, pseudoephedrine, or phenylpropanolamine (ingredients found in certain allergy, asthma, cough or cold, and weight control products). 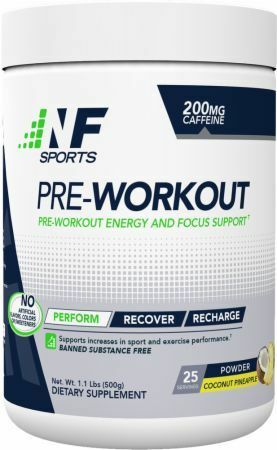 Individuals who are sensitive to the effects of caffeine or have a medical condition should consult a licensed health care professional before consuming this product. Discontinue use if adverse reactions occur, then consult a physician. HOW IMPORTANT IS FOCUS AND CENTRAL NERVOUS SYSTEM ACTIVITY TO EXERCISE?